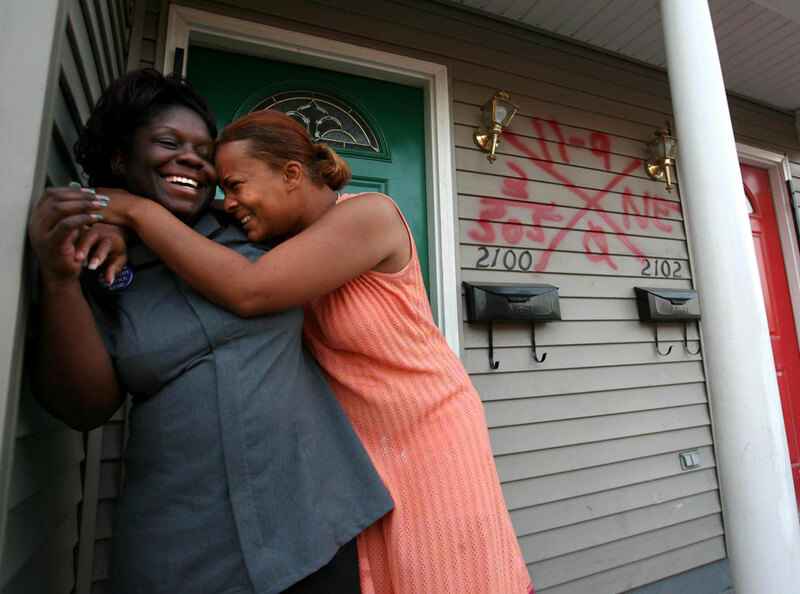 Shawn Powell, 32, right, hugs her best friend, Theresa Young, 28, in the seventh ward neighborhood of New Orleans where she found a section 8 duplex for her three daughters, two nieces and young nephew ranging from 2-years-old to 14 in March 2006. Theresa lived with her for a time. Powell had high hopes for a happy return to New Orleans from Houston but found her old neighborhood dangerous and unlivable.